Should a small business care about social media,or are sites like Facebook and Twitter just a waste of time? With more and more people going online to compare products and services before deciding where to spend their time and money, the business that doesn't have at least a rudimentary online presence is turning potential customers away. You want customers, both present and potential, to see your offer as favorable and to take action towards accepting it—you want them to buy from you. Much of the influence you have over others, though, is about how they perceive you and your company. They need to believe you know what you are doing, that you back up your products or services and that others have gained from their business dealings with you. To wait for the consumer to put all that together on their own may mean that you attract few customers. The savvy business lets their particular abilities be known to all and easy to discover. And social media is an excellent way to do that. The first step towards an online presence is usually a website. Most small businesses need only a rudimentary landing page—a spot where potential customers can find basic information about the company. The primary things people want to know is what you do, where you are, hours you are open for business and how to contact you. That’s it. Those things should be evident and easy to find. Unfortunately, may companies fall victim to the mistaken idea that they need a flashy or pretty site. The show becomes more important than the message, and the site ends up costing much more than it should but performs much worse than it should. Having a website is fine, and most businesses would do well to have one. Even at its best, though, a website is like a billboard along the information highway. It announces your presence and invites people to contact you to find out more. Social media, on the other hand, is vibrant and interactive. These internet tools—things like blogs, Twitter, Facebook, YouTube and others—invite communication. And communication is good for you. It gets people talking about your business and recommending your skills to others. And that means more customers, appointments and orders. Social media messaging allows you to dialogue with those who have done business with you in the past and who may want to do business with you in the future.Used rightly, social media works. You probably already know someone who has the knowledge needed to get your company better engaged online. 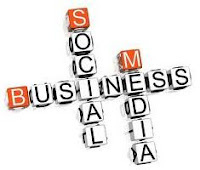 And don't think only young people know about social media, you may be surprised to discover many mature business leaders who have discovered the value of social media interaction and can help you put together a plan. Don’t launch haphazardly, though. It is easy to start a free account online, but once you start broadcasting you are beginning to form the opinions of others about your business. You are “branding’ yourself. A smart first stop would be the local Small Business Development Center. Check the Small Business Administration website to find the office nearest you. They offer free and low-cost counseling to help grow businesses like yours. Their help can be invaluable. How will social media help increase the profitability of my business? How will it affect the bottom line? Who am I talking to? Who am I trying to reach via social media? What do I want them to know, and how do I want them to react? Like all business decisions, your social media plan should align itself with your company mission and strategy. Otherwise, it may hurt rather than help your business. Think about the big picture first—and how social media can help. Then get connected and get involved. You may be happily surprised at how many customers later tell you they found your business online. Author: Lane Goodberry is a blogger who focuses on health and wellness topics.Read our guidelines to be a Guest Author at TechGau.Org. Image Credit.